This autumn has been the wetter than any in my recollection. Rather than rainy days, we’ve had rainy weeks followed by more rainy weeks, with only the occasional burst of yellow sunshine to remind us that the sun does indeed still exist in this great universe of ours. While I have always been fond of a bit of grey and damp, Puff never has been a fan. From the moment she was born, long before she could possibly have known about the existence of weather or anything outside of her cradle, it was noted that Super Puff gets downright nasty on rainy days. She is the embodiment of the quintessential rainy-day grump. Ask anyone. I don’t make this stuff up. . .
so, after nearly a month and a half of rainy days the crafts had all been crafted, and the paint had long ago wore thin, and enough became enough, I gave in, and WE went out to play. In the pouring rain. In the pouring, not-freezing-but-really-damn-cold rain. This made Puff very happy. 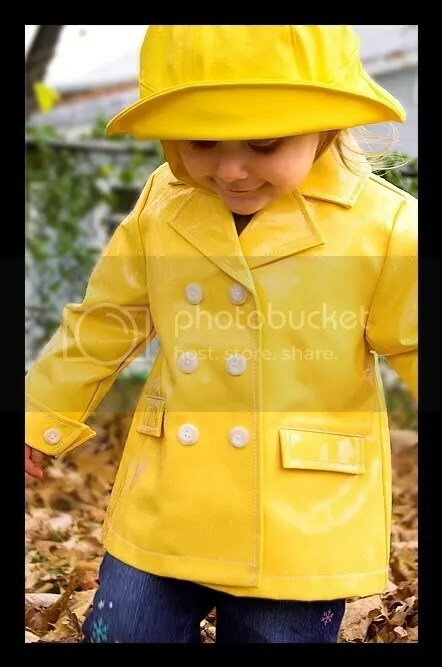 . . she likes her yellow raincoat. A lot. And her yellow umbrella even MORE. 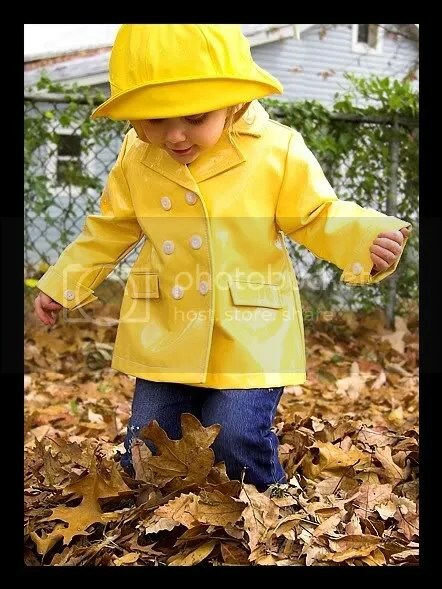 Who doesn’t love to be knee-deep in wet leaves?
. 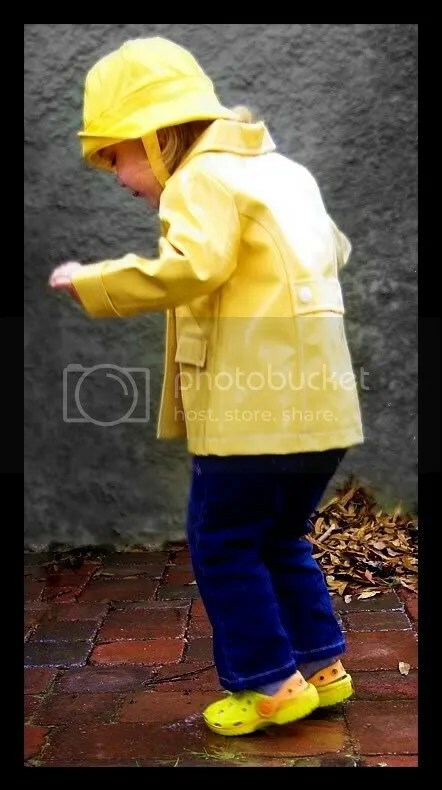 . . jumping in puddles rocks our socks (and wets them, too)! The funny thing about it? After I got her all dressed up and water-proofed in her awesome rain gear, Puff downright refused to don weather-appropriate footwear. 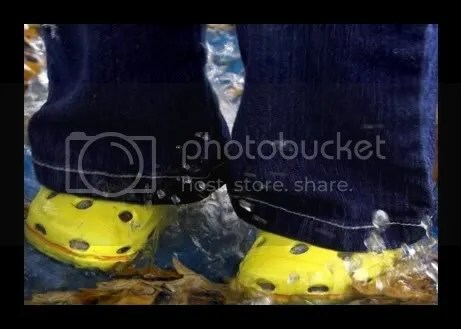 Instead, she insisted on wearing her Crocs. And no amount of begging, reasoning, or pleading with her was gonna change her mind. Because they’re YELLOW! Duh. . .
Not the best plan, but at least she matched. . . 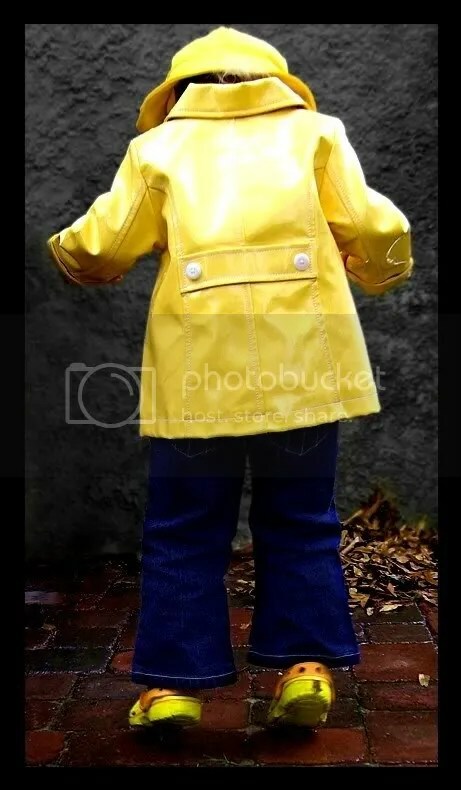 When the soaking was completed and bones once more cried longingly for the warmth of home, our rainy day yellows were turned back into rainy day blues. 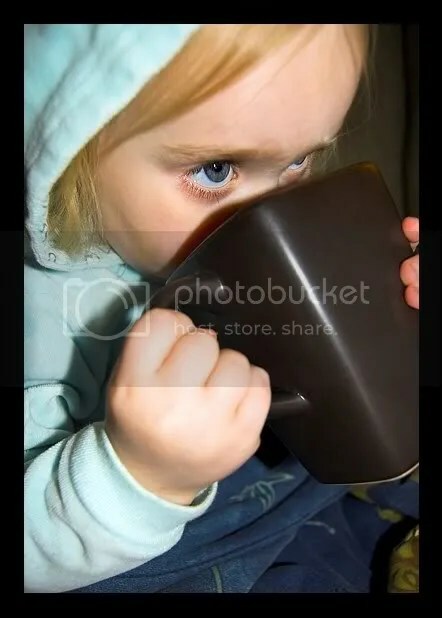 Dry clothes donned, snuggly hoodies and even snugglier blankets helped to seal in the heat, and a giant mugs of hot cocoa did the trick to make indoors the place to be once more. And that made ME very happy. . .
Awww…! THAT is a perfect rainy day. . .
Love the pics (as always) and the outfit is wonderful! What a cute rainy day outfit! You’re an awfully sweet mother to let her play in the rain. My kids LOVE to get wet…when they’re not supposed to!! Fabulous pics!! Love the pictures! That jacket is down right adorable on her! AHHHHH! I love the outfit! It’s great! I hate rainy days too! You’ll never catch me in the rain! I’m glad T had fun! nice patio shots! 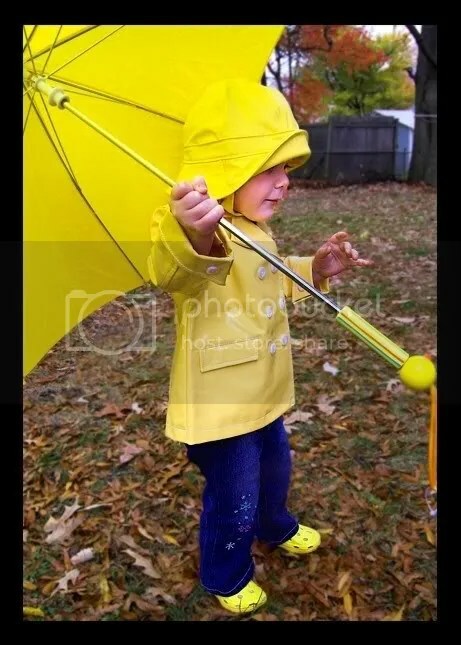 i like this post… i like the pics… but i still think the umbrella is gigantic! Thanks , and you are such an awesome Mom. Hope you’re feeling well. 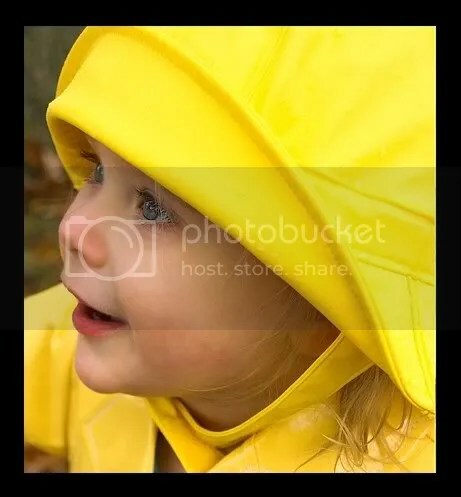 Cute pictures and the yellow is making them more cute!! !